LightCore Chill would be getting almost as much hype as LightCore Pop Fizz IF she wasn't already out in Legendary form. Honestly, if you are not a diehard fan or collector, there isn't much point in getting regular LC Chill if you already have L-LC Chill. It is a strange circumstance. 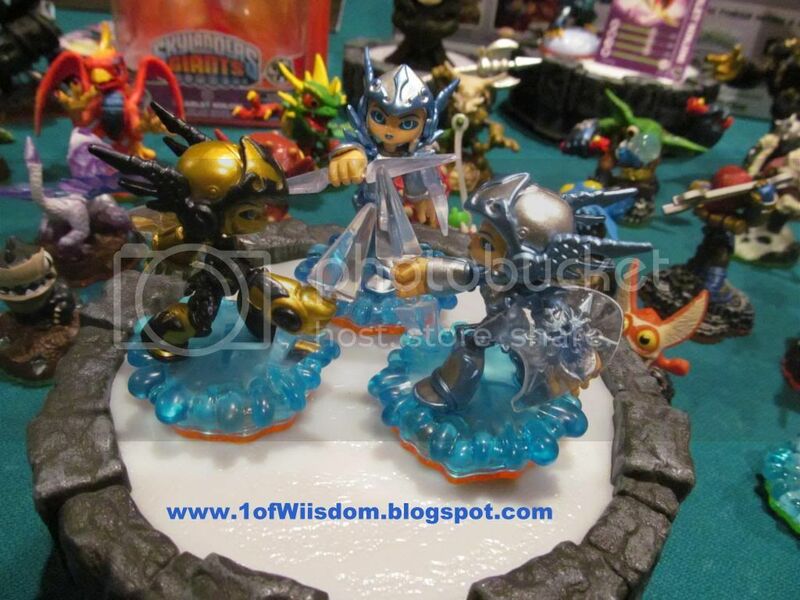 That said, LC Chill is unique in that she is the only LightCore Legendary. We do have L-Bouncer that lights up, but he is a Giant and I consider that different. 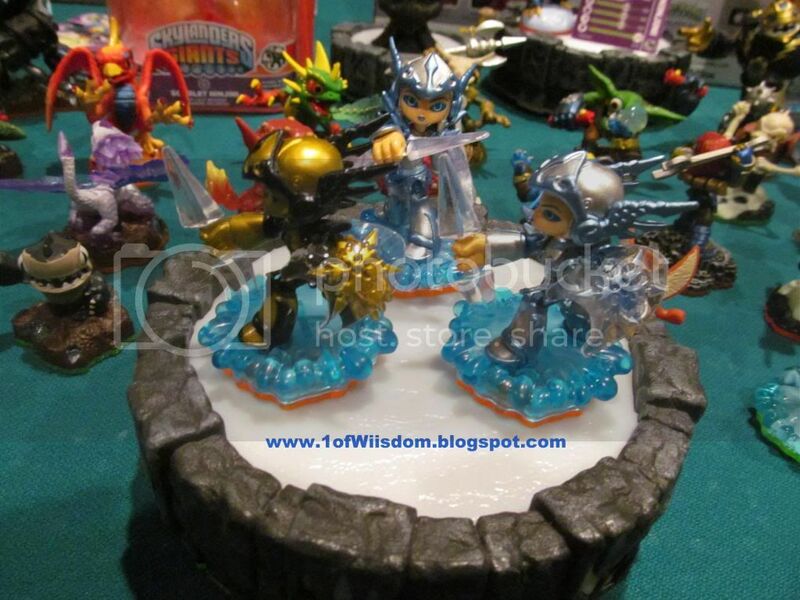 As far as a true "LightCore" Skylander goes, Chill is the first to attain the Legendary LightCore status. Personally, I like Chill...She has a nice combination of moves for my play style...Ice Wall for Defense, Decent Ranged Projectiles for the Offense (plus they penetrate her Ice Walls without destroying them), and she has the Shield. It is kind of a Projectile + Slam Bam + Chop Chop type hybrid character. Some don't like those elements, but personally I do. 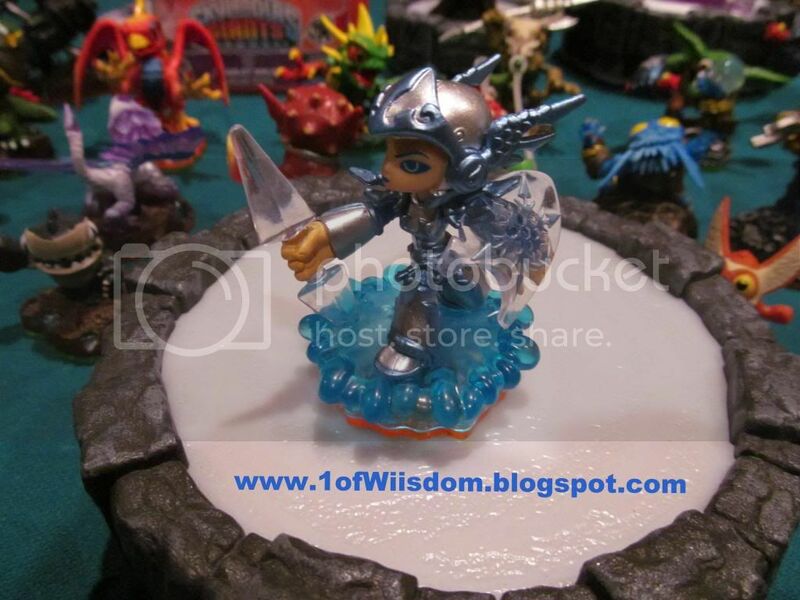 Having the projectiles AND the shield in addition to the ice walls is a big deal and really sets Chill apart from other Skylanders. I ordered her and LC Pop Fizz from Amazon.com late Wednesday Night (early Thursday Morning) when they were just out and very hard to come by...As fate would have it, that night I waltzed into TRU and found both on the shelf...Seriously, what are the odds? Naturally, when I came home to cancel the Amazon order they had shipped...Despite all the other times I order with Free Super Save Shipping things take 2-3 days (or more) to ship. The real kicker when they arrived this week was that Amazon sent them expedited...Geez. That is why I have "2" of both LC Chill and LC Pop Fizz...I get that question a lot when I have 2 Skylanders or 2 Games etc...So that is why. LightCore Chill is a solid character. Her light up effect is disappointing, but primarily so just because it had so much potential. In the game her projectiles light up and it is pretty neat. The only real downside to LC Chill is that Legendary LightCore Chill has better base stats and the same powers. For collectors I know you are picking up LC Chill. The same goes for Chill fans. Similarly, a lot of people I know just hate the blue/gold color scheme and in-game look of the Legendaries and do not buy them...That means LC Chill is a welcome addition for that camp as you will have 2nd Chill to take down the other path etc. For anyone on a budget, I would advise you get L-LC Chill. If you are on a budge and really want to add LC Chill to your regular Chill and L-LC Chill I'd advise you to wait it out and see if you can get her for half price here in a few weeks etc. All-in-all it is nice to have LightCore Chill, things are just dampened by the somewhat disappointing light up effect and the fact she was preceded in release by her Legendary counterpart who is also LightCore.